This year's "March for Science" was about more than science — it was also about public education, indigenous rights and national politics. 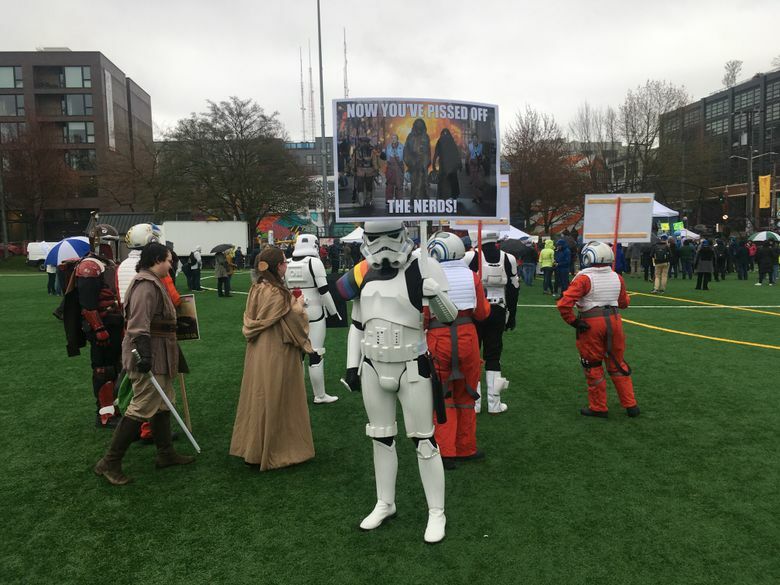 U.S. Representative Nancy Pelosi, D-California, spoke to gathering of about 250 people Saturday morning at Cal Anderson Park. This year’s “March for Science” was about more than science — it was also about public education, indigenous rights and national politics. 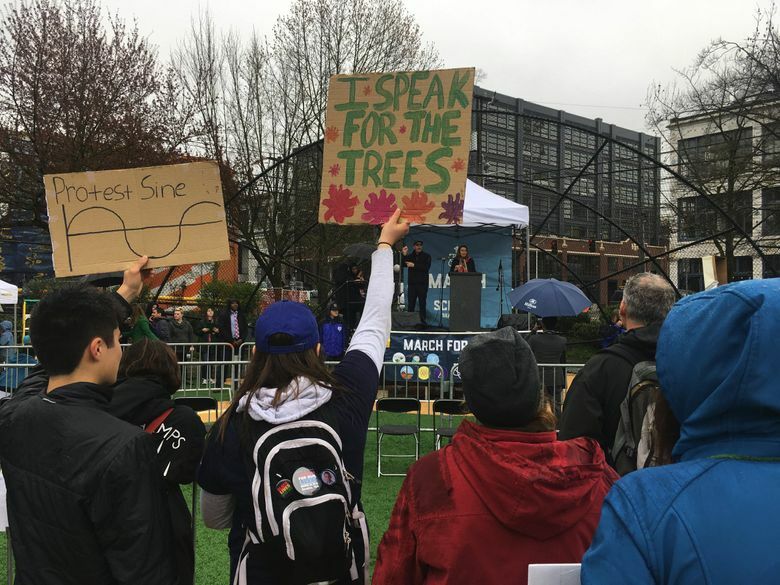 “We have some concerns about where people in Washington, D.C., are on science,” U.S. Representative Nancy Pelosi, D-California, said to around 250 people gathered at Cal Anderson Park on a drizzly Saturday morning. The gathering was among dozens held in cities across the country for the second annual march but failed to capture the fervor, or the crowds, of the thousands who attended the march last year. “Indigenous cultures in the Northwest have lived in this place, and know how things are connected through their observation, which is scientific knowledge,” he said. Mike Stevens, Washington State director of the Nature Conservancy, said the group’s projects — such as mapping 2.7 million acres of potentially fire-prone forests in rural Eastern Washington — are a boon to rural economies as well as the environment. Those forests can be managed by trimming, which could boost local jobs and reduce the fire hazards for people living in the area.